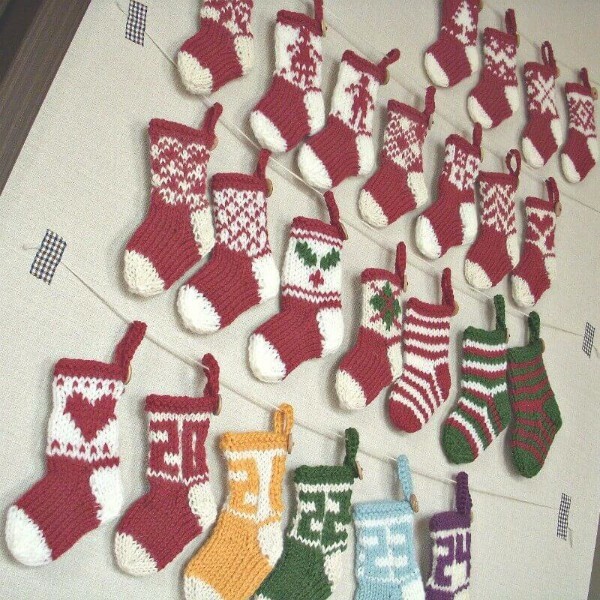 Deck The Halls With These Mini Knitted Christmas Socks Patterns! 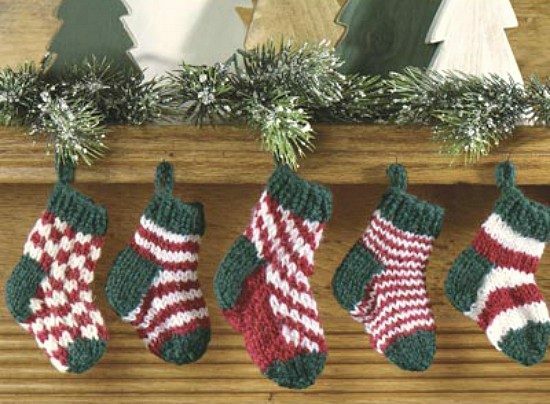 Deck the halls with these festive knitted sock garland patterns! 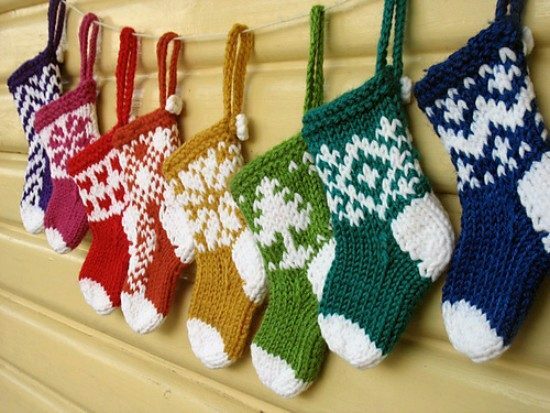 They are perfect to hanging on the tree or across the fireplace! What says Christmas more than stockings strung across the fireplace! That’s exactly what this pattern makes. 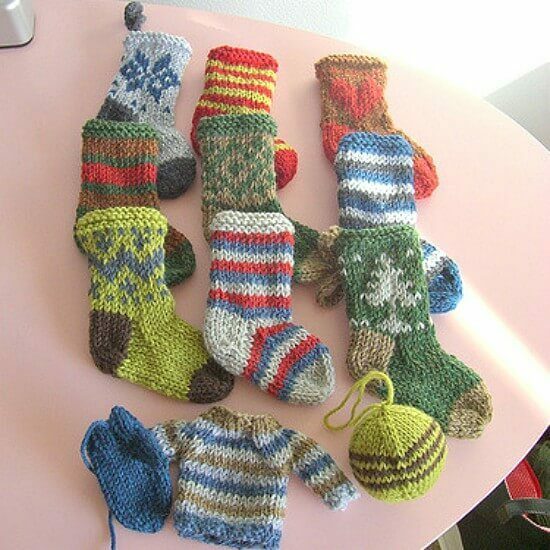 You can have a line of knitted socks hung individually or strung together. We’ve rounded up a few different patterns and a video too! Now you’ll be able to follow along with the tutorial. Be sure to scroll our page and view them all. 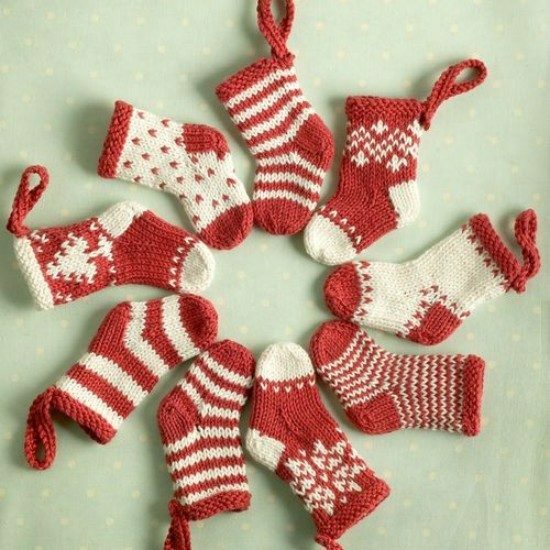 We love cozying up with a soft ball of yarn and our knitting needles during the holidays! Before you start, decide which color you are going to knit the heel in and cut a length at least 110cm (44”) keep to one side for second heel shaping*. You can also take a look at the other versions we’ve included from different Ravelry users above and below. 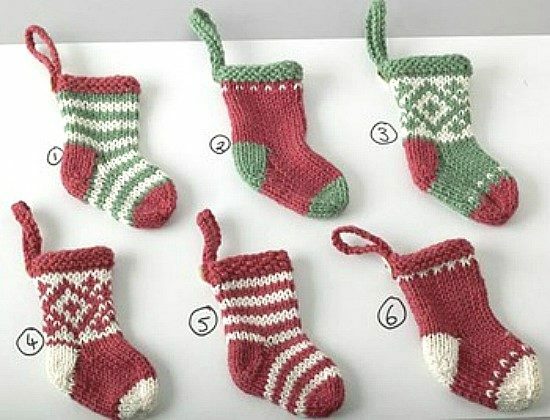 Continue scrolling down our page for more mini Christmas Socks. 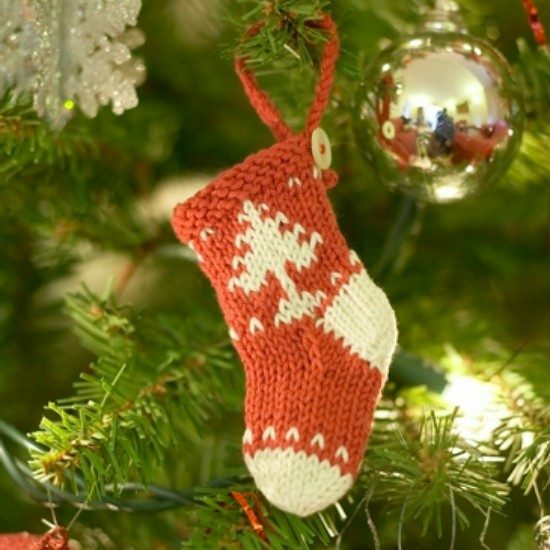 We love how this knitter used the knitted sock pattern and included a mini sweater and ornament to go with them!